I am happy to announce my blog is now Pinterest-friendly!!! It took me over 3 hours to figure out how to install this tiny button to my blog but I am so excited! You can find the Pinterest button at the end of every post. Just click on it and it will allow you to pin my pictures to your boards on Pinterest! FYI-You have to have a Pinterest account to use this feature! This recipe is definitely Pinterest-worthy! I used Pioneer Woman's recipe as the base and changed it to my liking. 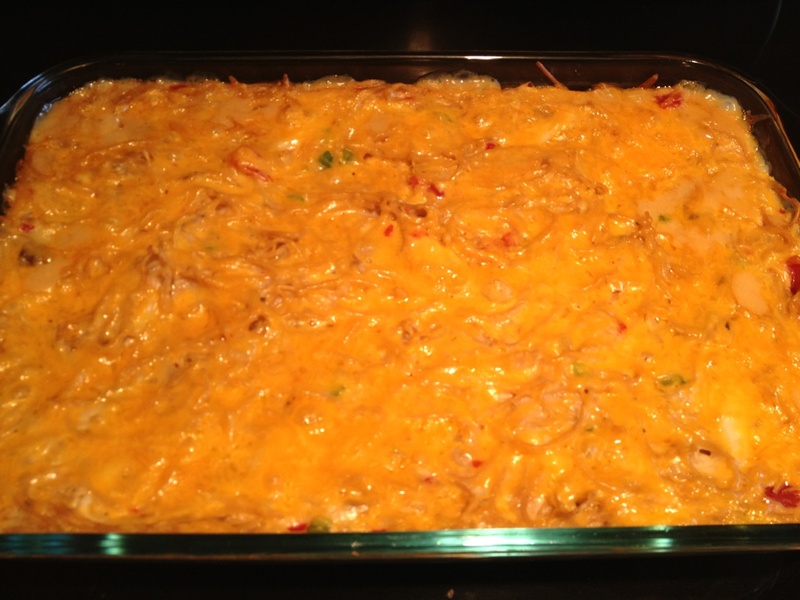 My version of her chicken spaghetti is heartier and healthier. My husband kept asking me, "Are you sure this healthy?" 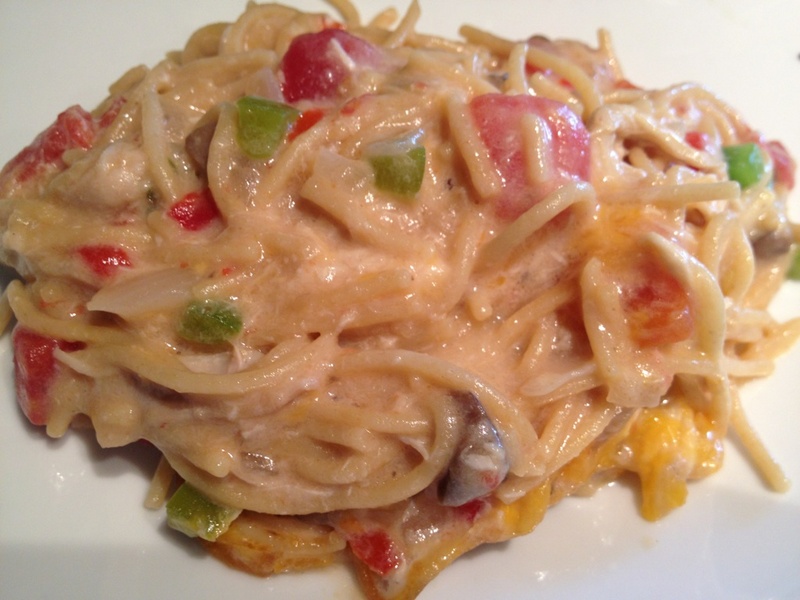 I posted another chicken spaghetti recipe a few months back which is also worth checking out if you like your chicken spaghetti really cheesy! After cutting your chicken into pieces and dicing your onions and green peppers, saute your onions over medium heat for 5 minutes. Cook until translucent and do not brown. Set aside. Boil a large pot of water and cook spaghetti according to the package directions. Do not overcook the spaghetti as you will be cooking it again in the oven. Drain and add to a large bowl. 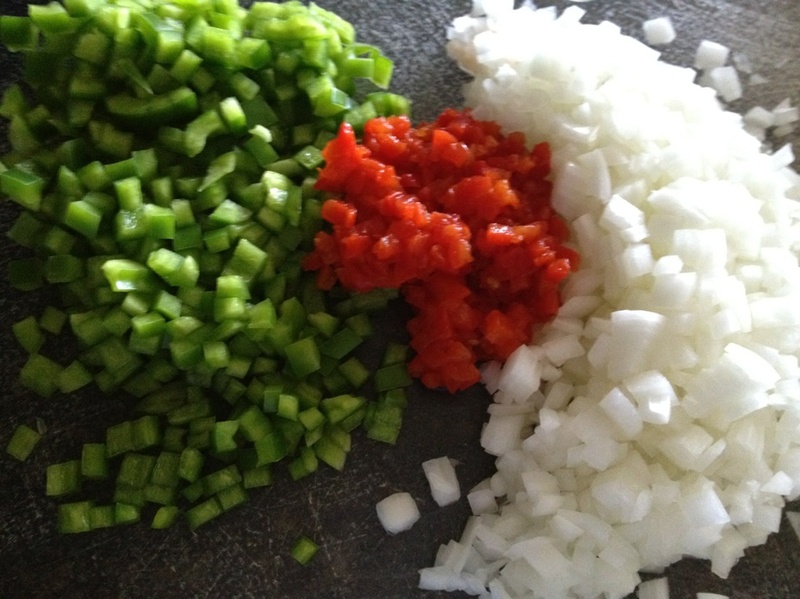 Mix the chicken, cream of mushroom soup, onions, green peppers, diced pimentos and diced tomatoes together. 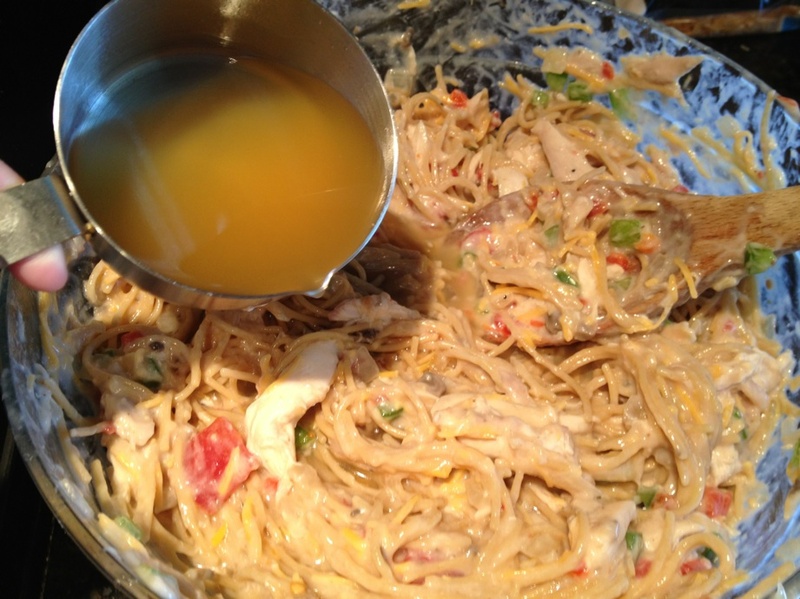 Add your grated cheese last and then slowly add the chicken broth to the mixture and stir. Season with salt and pepper to taste as well as your cayenne pepper if you like it spicy! 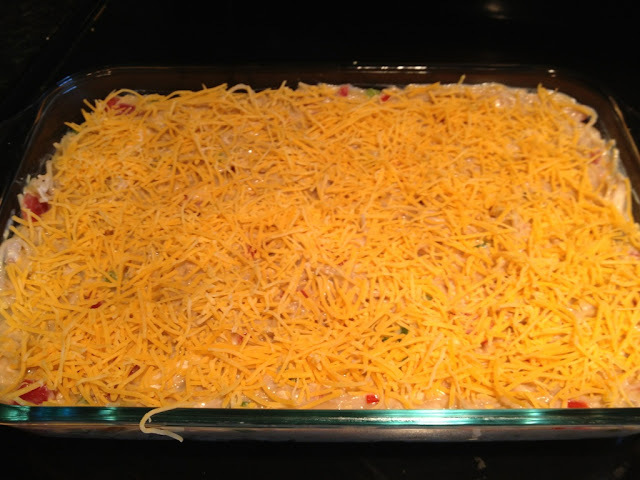 Spray a pyrex casserole dish with PAM or nonstick cooking spray. 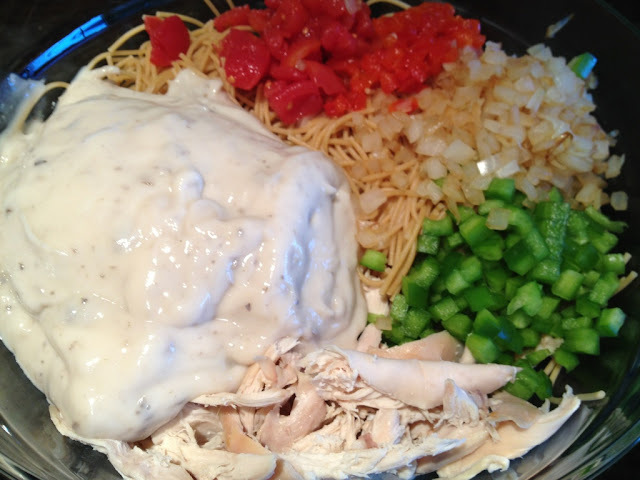 Add your chicken spaghetti mixture to the dish and top with grated cheese. Cook in the oven, uncovered, at 350 degrees for 45 minutes. If the cheese starts to brown within this time, cover with foil. making this tonight! 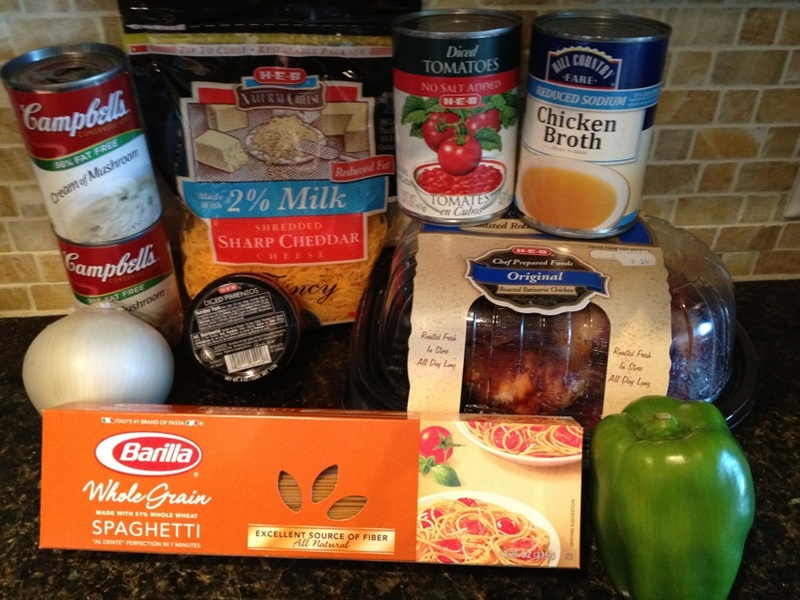 I am just getting into incorporating chicken into my pasta. Will let you know how it turns out!